Can I sue a large food chain such as Sam's Club for injuries suffered in their store? I was walking in the store and ended up slipping on a shirt that happened to be on the floor. I didn't notice it and ended up with back pain and bruising. What can I do? 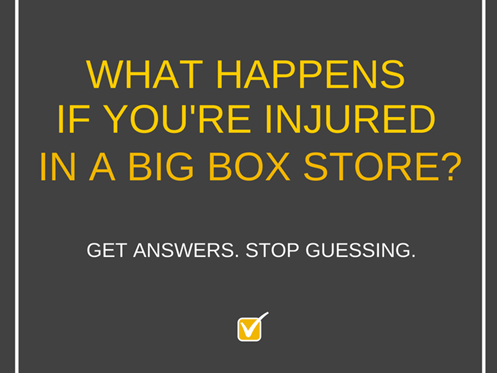 Store injuries can be complex. Ask yourself: Did the store do anything wrong? If the answer is no, then the store likely has no responsibility. Remember, not all cases are straight to the point. There are many variables that are involved as far as who will be liable for your injury in a store. Whether it being a slip and fall injury or other form, make sure you speak with an experienced personal injury lawyer to make sure your rights are protected.